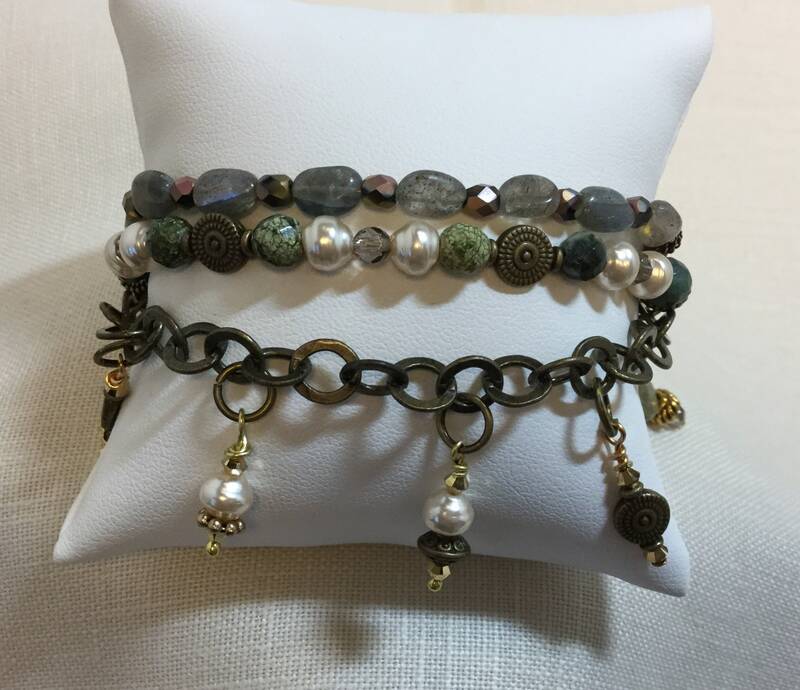 This triple strand charm bracelet creates a subtle color pallet by combining pale green Russian serpentine, Czech pearls, and iridescent labradorite. At each end, anchor charms help the bracelet stay in place on the wrist. 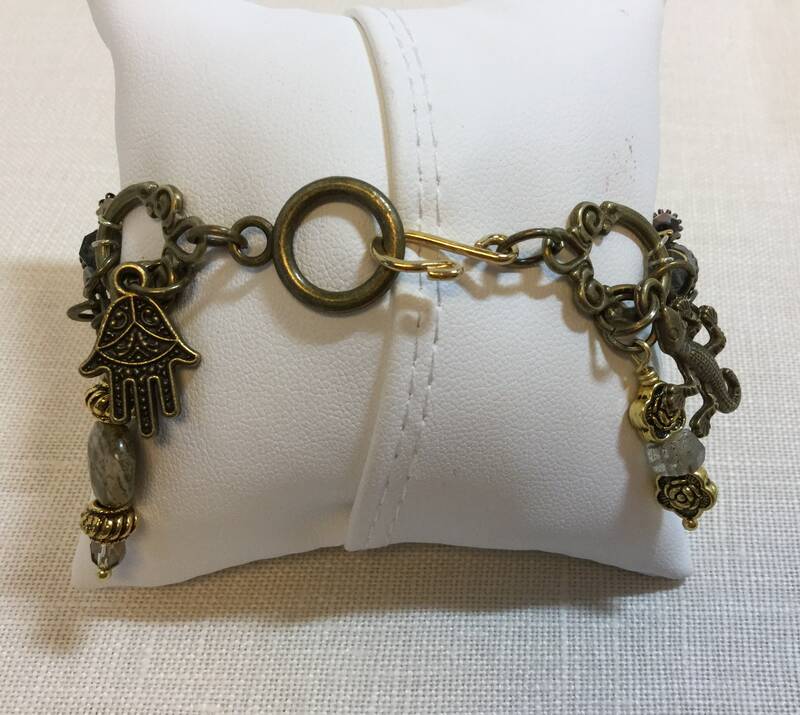 This bracelet has four anchor charms including a gekko and a Hamsa hand. The hook closure is very easy to manage for simple on and off. 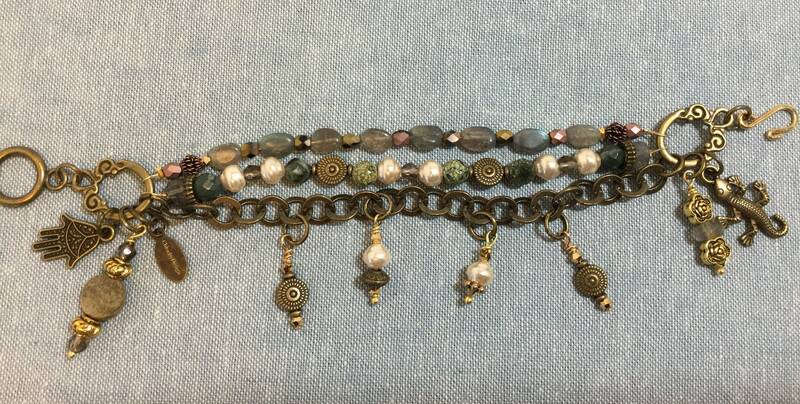 The bracelet measures 7 3/4 inches, which will fit a wrist that measures from 6 1/2 inches to 7 inches. It can be lengthened prior to shipping. Just send me a convo with your wrist size and I will let you know if I can adjust.